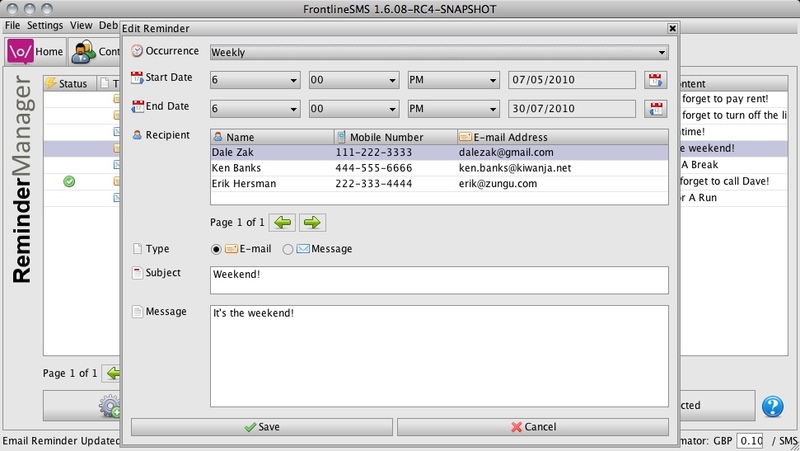 “FrontlineSMS is powerful open source software that turns an ordinary laptop and mobile phone into a low cost communications hub. It’s used by NGOS around the world to send and receive text messages for such efforts as human rights monitoring, disaster relief, education programs and fundraising campaigns. It’s also at the heart of FrontlineSMS:Medic which is revolutionizing global health by empowering rural healthcare workers. The plugin definitely has room for improvement, and I already have a few ideas for additional occurrence types – Every Weekend, Every Weekday, Every Sunday, etc. The FrontlineSMS team is growing. In this Guest Blog post, Laura Hudson – the new FrontlineSMS Project Manager – tells us why she came on board, what she intends to do in her new role, and outlines some of her early thinking. “It’s exciting and a bit nerve-wracking to represent something as revolutionary as FrontlineSMS at the best of times, but two-and-a-half weeks in to a new job as Project Manager for FrontlineSMS, attending the World Bank’s Innovation Fair on Moving Beyond Conflict was an eye-opening experience. The Fair was attended by innovators and technical experts from all over the world, and was a great opportunity to swap stories and questions, make connections, and plan future collaborations. 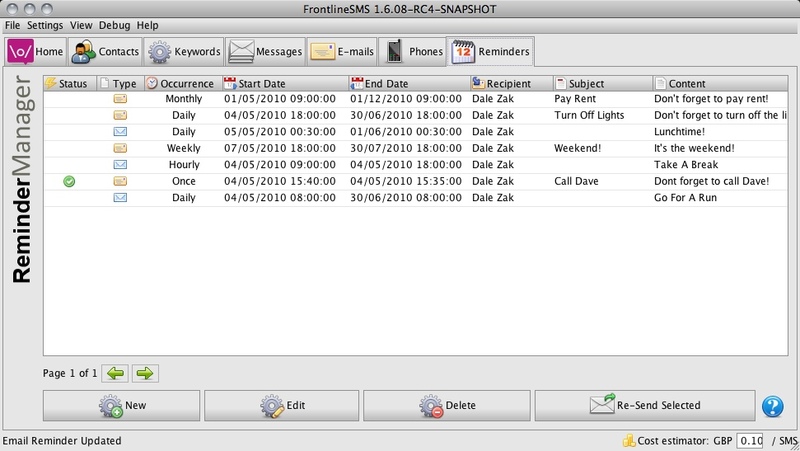 Five years on from the first version, and thanks to Ken’s tireless work to raise awareness, FrontlineSMS is a familiar name to many in the mobile and social entrepreneurship field. Still others had heard about it and were keen to try it, and I met at least one implementing partner I hadn’t encountered before! Lots of our discussions had to do with what you do after you’ve had the great idea – how to get it from concept to reality, to operating ‘at scale’. So much of the success of FrontlineSMS has had to do with just two things: a great concept; developed with the support and input of a strong user community. I wanted to reflect a bit on what we’re doing to continue to develop along these lines, and we’ll hear more in future from our lovely developers, Alex and Morgan, on the next few months in the FrontlineSMS labs. In some ways FrontlineSMS is already scaling – the software has been downloaded from our website over 6000 times, and we have a number of organisations working directly with us to build on the FrontlineSMS brand and software to develop plugins and implementations in specific sectors – including FrontlineSMS:Medic and FrontlineSMS:Credit. The field is so fast-moving and collaborative that new possibilities pop up every day – so much so that it could be hard to settle down and focus on our core business – developing the software. In the coming months, we’re going to work on a strategy that will set our direction for the next five years, and support an operational plan for the next two years. We’ll be looking at how to consolidate our support to users (more on that in a second) and what we should be looking at next – picture messaging, for example, or examining what sort of interface might be useful with online services like Mxit in South Africa. Since the beginning, Ken’s mantra has been ‘support the users, and all else will follow‘. Priorities for the next year include improving our support to our users, and providing more online resources and step-by-step help, such as decision-making trees and thematic guides. And as for any organisation, it’s important to know what we’ve achieved. As a service provider, supporting those who deliver on the ground rather than delivering ourselves, this will take the form of figures and case studies on how many projects using FrontlineSMS, how it’s going, and if possible, approximately how many people they are reaching. To find this out we’ll be contacting users directly, running competitions, and linking users direct to donors in innovative ways – watch this space. It’s an exciting time for us and for all those out there helping our project and others like it to achieve great things and hopefully, and most importantly, help to make a real difference to people all over the world”.